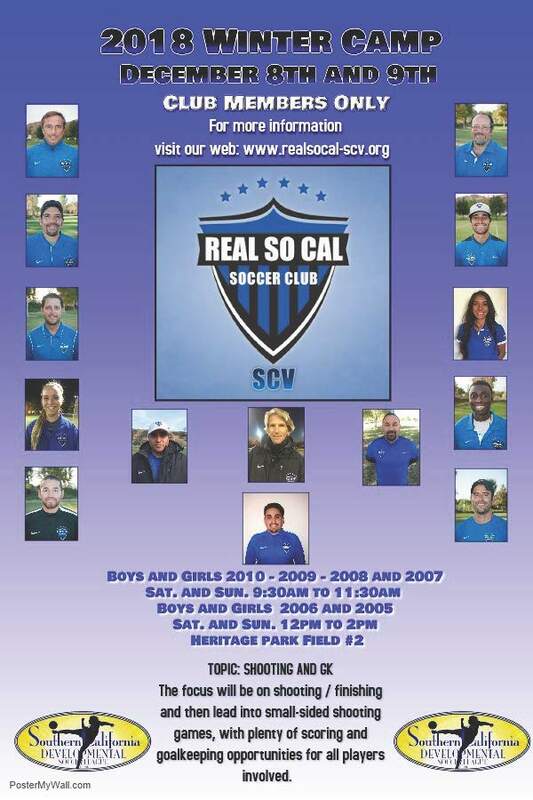 RSC-SCV is offering its first, annual Winter Soccer Camp! We believe this camp can be extremely valuable and fun for the players in the club. This FREE event will be the perfect way to wrap up an amazing fall season and a great opportunity for the players to work on their finishing skills in a friendly and relaxed environment, under the supervision of the professional and enthusiastic RSC-SCV Coaching Staff. SEE YOU ALL ON 12/8-9!! !